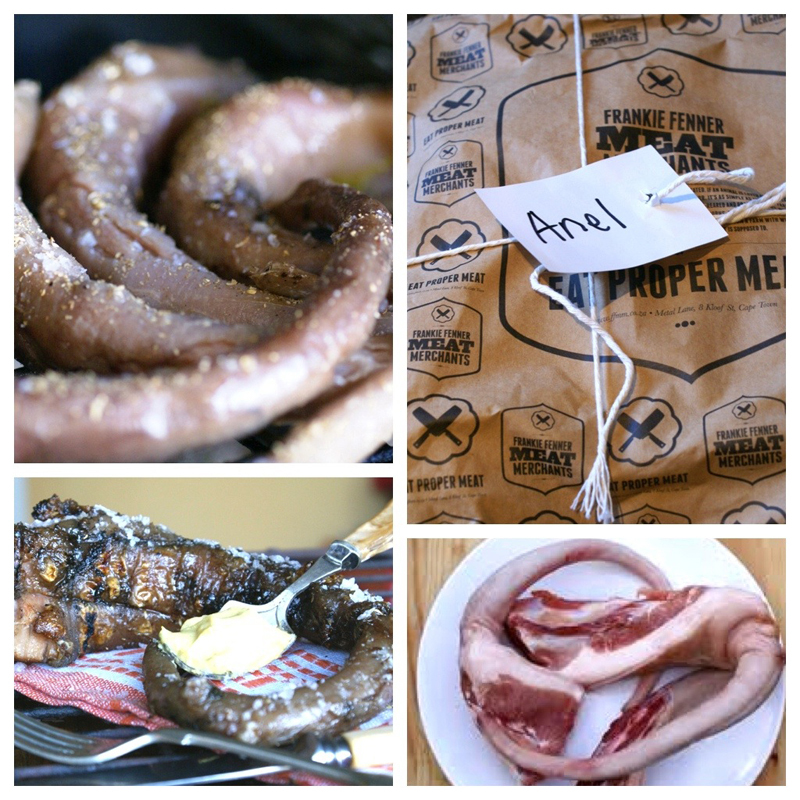 Crispy braaied pig tails – I know that there are many adventurous and fearless chefs out there… this one is for you! 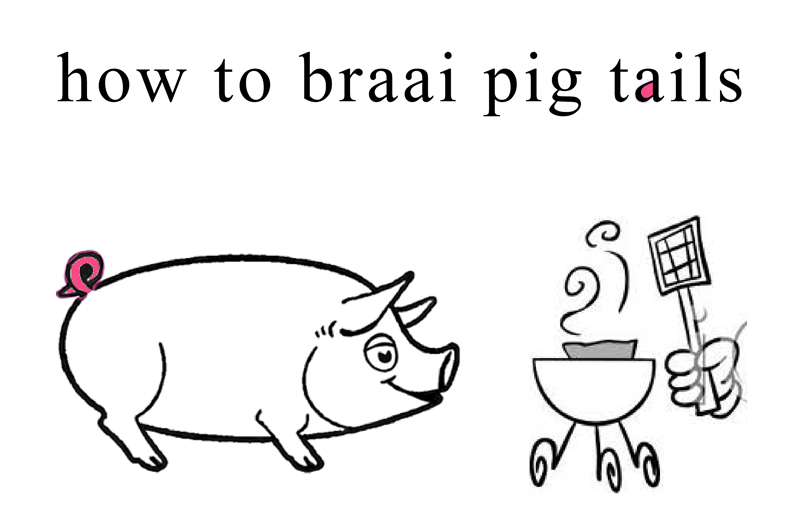 Potjie’s entry a few weeks ago where he talked about English Chef, Fergus Henderson’s book, “The Whole Beast: Nose to Tail Eating”, struck a chord with me and I think we share the same philosophies when it comes to cooking. Be brave, be daring and never be scared to cook with what you have…whatever you have… It also reminded me that I had about 10 pig tails lying in my freezer. I had bought these a while back from Frankie Fenner after I had seen them being cooked on Masterchef. Back then they looked very scary and they still do – very kind of Avatar-ish! So with National Braai Day being celebrated in the coming days it provided a perfect opportunity to haul these little, curly porky tails over the coals. The most important thing for me was to make sure that the tails came out soft but still retained that beautiful pork flavour – oh yes, that they had that crispy crackling to feast on. To soften up the tails I steamed them for 15 minutes then braaied them on the grid over medium coals (charcoal or wood). Keeping it simple, I served it up with my own homemade mustard dipping sauce. It was decadent and delicious – as Jan Spies used to say “ryk, maar lekker” [rich but delicious]. Some advice: If you do come across a few people who are still a little squeamish about eating the pig tails … pass them the salad. Have a fantastic braai day. Place all the ingredients in a pot (pressure cooker) and steam for 15 minutes. If you don’t have a pressure cooker cover the same ingredients in a roasting pan – cover with foil and bake at 190 degrees for 40 minutes till soft. Please remember to top up your roasting pan with water. Take the tails and place them on the grid over medium coals on the braai. Sprinkle with salt, pepper (coarse salt and pepper would be good) and ground coriander. Braai till the skin is crispy and crackly. About 5 miutes a side. Mustard Sauce : Mix all ingredients and serve in a small bowl next to the crispy tails. Pass me the salad!!!! O hell, Anel, ek is seker een van die ‘squeamish’ nommers, eerder wyn en slaai…. Brilliant Anel, so out of the box fro Braai Day! !